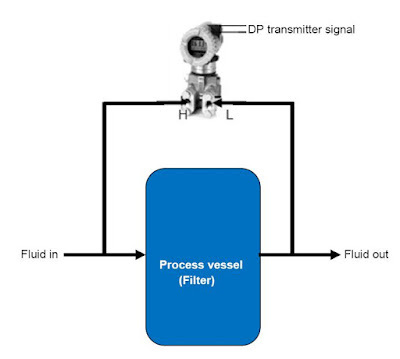 The DP transmitter is a very versatile pressure-measuring device. 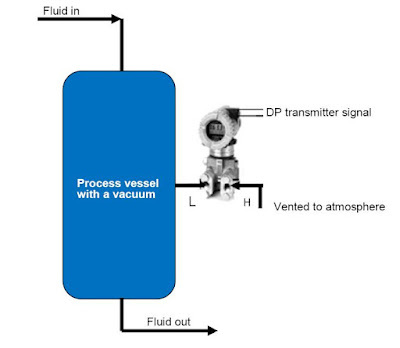 This one instrument may be used to measure pressure differences, positive (gauge) pressures, negative (vacuum) pressures, and even absolute pressures, just by connecting the “high” and “low” sensing ports differently. 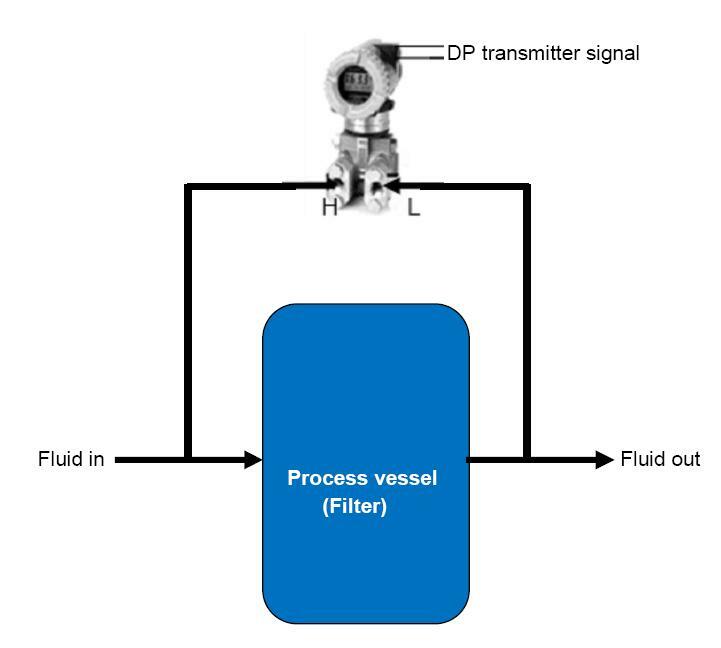 In every DP transmitter application, there are means of connecting the transmitter’s pressure-sensing ports to the points in a process. Metal or plastic tubes (or pipes) are the means used for this purpose, and are commonly called impulse lines or sensing lines. One of the greatest versatility of DP transmitters is their use in inferring many other process variables. One of such variable is level measurement. Another very common inferential measurement using DP transmitters is the measurement of fluid flow through a pipe. Pressure dropped across a constriction in the pipe varies in relation to flow rate and fluid density. 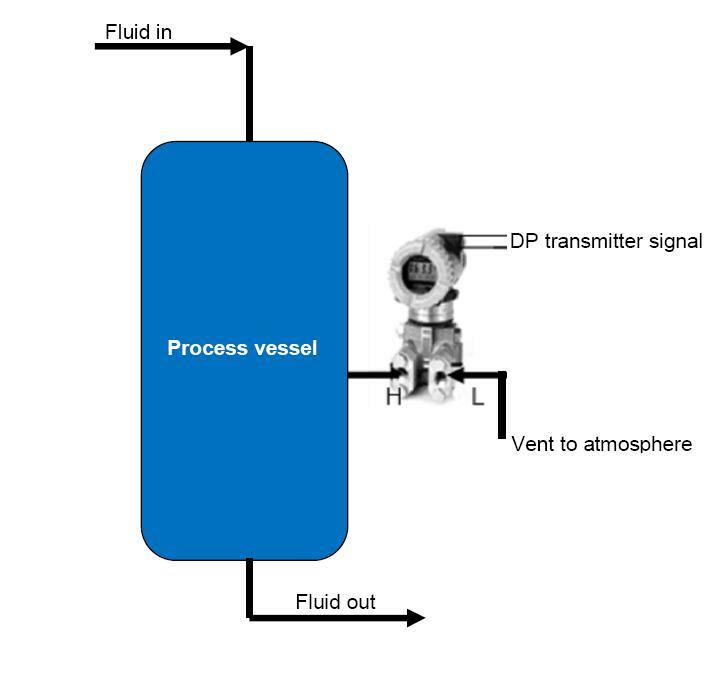 If the fluid density remains fairly constant, we can measure pressure drop across a piping constriction and use that measurement to infer flow rate. 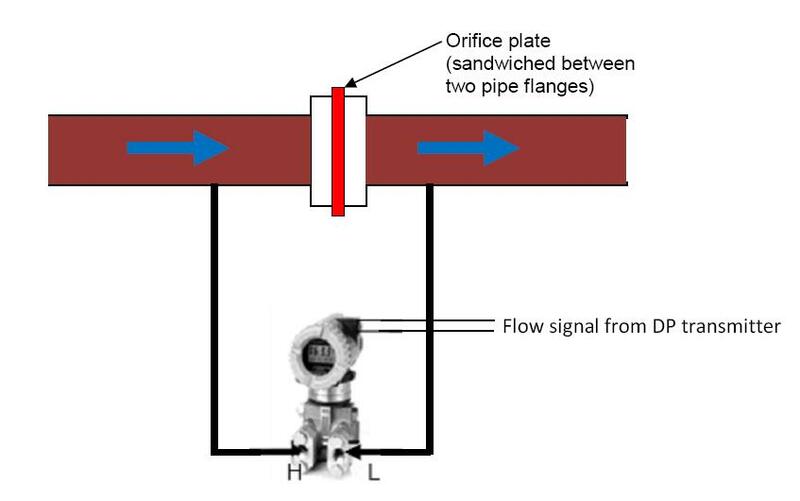 As seen in the diagram above, in using the orifice plate to measure flow, one port of the DP transmitter is connected to the upstream side of the pipe while the other port is connected to the downstream side of the pipe. 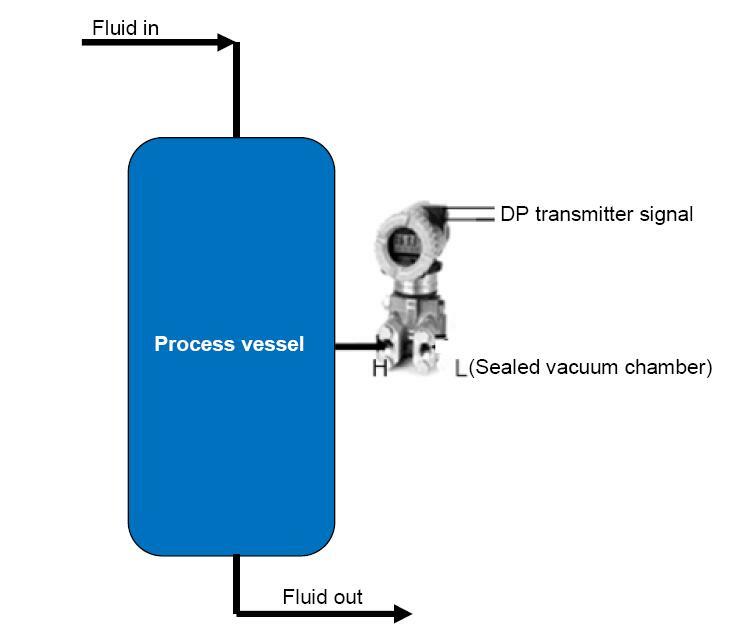 Differences of pressure between the upstream and downstream sides of the constriction (orifice plate) will cause the DP transmitter to register flow. 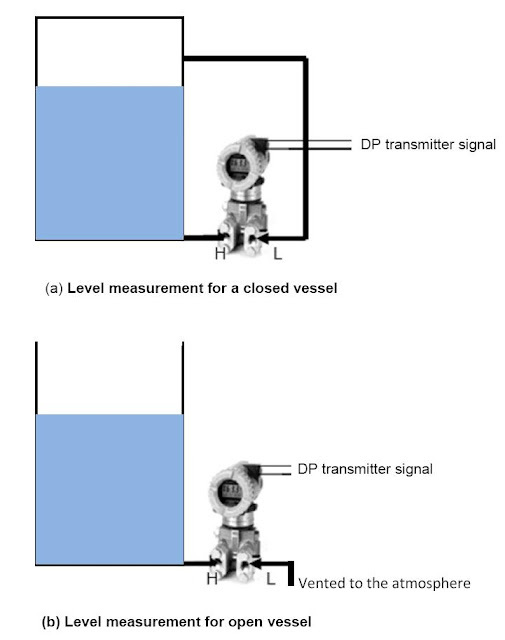 From the diagram above, the high side of the DP transmitter connects to the upstream side of the filter, and the low side of the transmitter to the downstream side of the filter. This way, increased filter clogging will result in an increased transmitter output.